In 2018, Audrey Page & Associates (APA) marks its 20th year of being the Australian leader in career transition and career management. 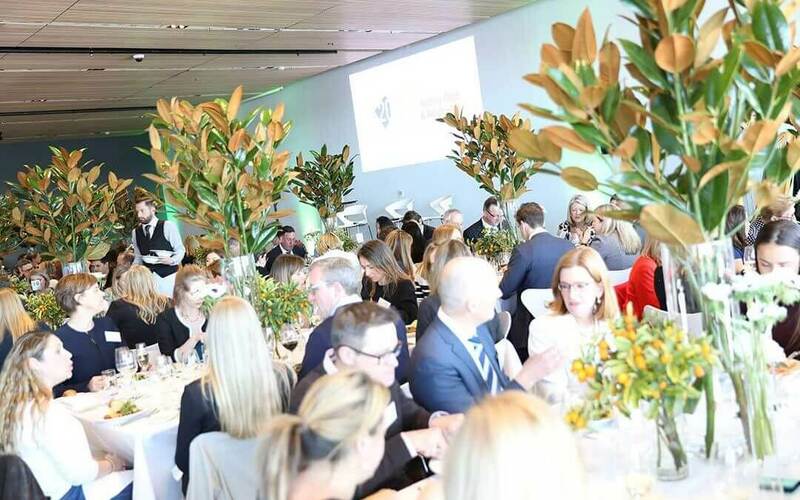 To celebrate this momentous milestone 200 business leaders and HR professionals joined APA at the Museum of Contemporary Art (Sydney, Australia). We celebrated Audrey Page our founder and how she helped people in need to find work again. Today, Audrey's legacy lives on as we continue to help organisations and their people navigate and thrive in the evolving world of work. Special guests Lucinda Brogden and Elizabeth Broderick indulged us with their personal stories of how they manage self-care and resilience during times of upheaval and challenging moments within their careers. It was truly inspiring to hear! We were honoured to have Craig Reucassel, from the award-winning documentary, The War on Waste be the MC for our event. With a picturesque sunny view of Sydney Harbour whilst enjoying an amazing lunch rounded off what is one of the most memorable events for APA.